Give bamboo a try with Doris and Dude socks. The cute ladybird design adds a touch of colour to your look and the material used is super soft. Not only are these socks luxuriously comfy, they’re also a great way to keep your feet feeling fresh throughout the day. Every pair of Doris and Dude socks contains bamboo fibre and bamboo is naturally anti-fungal and anti-bacterial. This makes sure that your feet don’t feel suffocated or start to smell, even if you’re going for a jog. The Doris & Dude Women's Aqua Ladybird Bamboo Socks product ethics are indicated below. To learn more about these product ethics and to see related products, follow the links below. 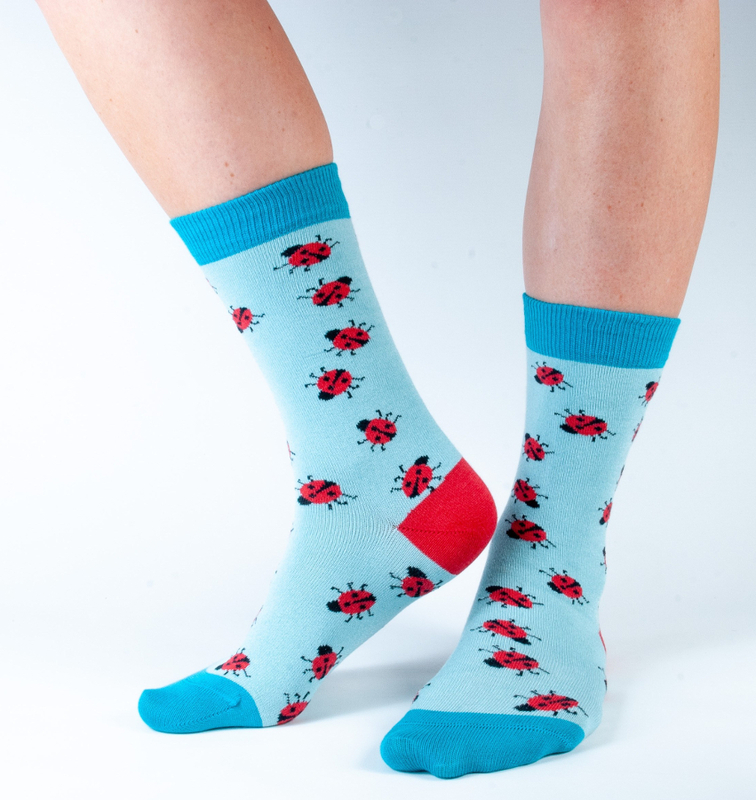 There are currently no questions to display about Doris & Dude Women's Aqua Ladybird Bamboo Socks.